Container Hospitals and Mobile Clinics | Aleph Group Inc. If you’re a medical professional, it’s easy to understand why a container hospital is right for you. They’re easily customizable, each custom designed and built to match your range of medical services. Every mobile medical clinic is built with quality in mind. Given its taken care of, a mobile hospital is sure to last well over thirty (30) years. Moreover, mobile medical units offer flexibility, making it easier and more probable to work at various times and locations, without any downtime between patient appointments. For starters, it’s important to know what size mobile clinic is best for your medical services. On hand, we have three (3) separate options – trucks, trailers and containers – ranging from twenty-eight (28) to forty-five (45) feet in length. Truck options are perfect for personal 1-on-1 attention, and are the most mobile. It’s a perfect mix for when it’s just you and a patient, balancing comfort and service. Meanwhile, trailers offer a lot more space than any truck. Trailers extend the amount of workspace available on the road, making it possible to care for more than one patient at a time and travel with a team on board. Lastly, there are shipping containers. A shipping container is the most suitable mobile medical clinic option, as with one you’re able to completely bring a traditional office onto the road. Field multiple shipping containers, and you got a complete container hospital perfect for any occurance. All our mobile medical units compose of aluminum, perfect for greater performance, longevity and lighter. When you come to us, we’ll help you decide which size mobile clinic is best for your medical services. Whichever one, know that mobile medical clinics offer a lot of benefits, both to you as a practitioner, and to concurrent and future patients. Now, unlike other mobile clinics, Aleph Group Inc. doesn’t limit what you can do with your mobile medical clinic. We understand that your mobile medical clinic needs to be unique to match your medical services. That’s why we work with you to make sure you get what you want. So long as it’s physically possible, we’ll do our best to work it into the design, and have it approved before we start on the project. On our part, we’ll make sure it’s expandable, user-friendly, lightweight, spacious, low maintenance, and maximizes green energy. Often left in hindsight are some key features needed in a mobile medical clinic. 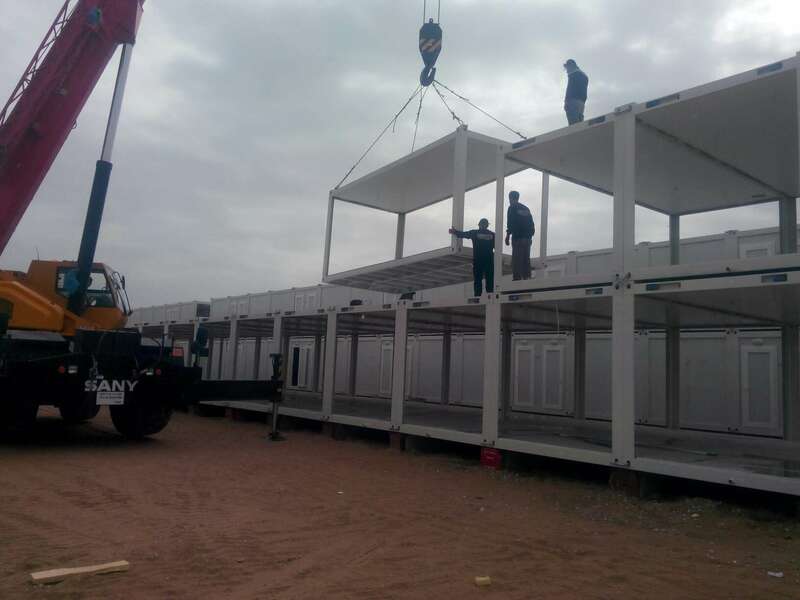 While fitting your container hospital with equipment and tools is fine, we’ll make sure you don’t forget about air conditioning, public and private bathrooms, handicap accessibility, alternative energy sources, storage, waiting areas and more. Aleph Group Inc. is a team you can trust to get your mobile medical clinic on the road in perfect condition on a punctual note. We listen to your needs, layout a blueprint of the model, and orchestrate the building process to create the best mobile medical clinic you could ask for. Throughout the process, we’ll be sure to update you with what we’ve done and look for your approval when it comes to bigger steps. For more information about mobile healthcare units, or to get a Free Quote for your own, contact us online or give us a call at (951) 213-4815.